The information provided regarding the course layouts are preliminary. There will be some fine-tuning of the course and more complete maps will be posted as it becomes available. The high school course will be run as a two lap race on different loops. The first lap will be run on Loop-A and the second lap on Loop-B. Loop-A is also the middle school course that will be run as a two lap event. State meet gear including hats and other items will be made available for presale and pick-up on race weekend. Stay tuned for more information. Race results will be posted on the Performance Timing website. Direct links will be posted when they are available. Live results will be posted as they become available as races are contested. You will want to bookmark the page on your smartphone to access results while at the venue. Telemark Lodge is closed and not available for any indoor activities. Portable restroom facilities will be available. Parking is more then adequate and close to the stadium. If you want to lend your services, there are plenty of volunteer opportunities available. Check the website link below for the volunteer registration website. Awards on Saturday evening will be at the Drummond High School. There will be an Ice Cream Social prior to the awards sponsored by Apple Awards. If you would like to volunteer in some role at the State Meet, go to our volunteer registration website and see if there are positions you would like to work. You can sign-up directly online at the SignUp.com website. 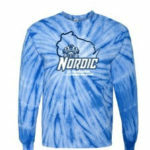 As an added benefit to volunteering, the Wisconsin Nordic Development Group will donate money to your favorite ski team at $8 for each hour worked. When you sign in at the venue, just tell us what team you are representing. The site will be ready for taking volunteers later. If you want to be notified when that happens, join our email list for State Meet updates.